Sandwiches in Review: What’s Become of McDonald’s Dollar Menu? We need to talk about the recent changes to McDonald’s Dollar Menu. The rising cost of beef has hit the fast food industry pretty hard, with recent focuses on chicken sandwiches and slowly creeping prices on various value menus. The hard times have even hit McDonald’s, who recently recalibrated their dollar menu with some new options and shifted price points. First let’s start out with the nightmare bad news: the McDouble has been raised to $1.19. While this isn’t a huge price increase, there’s just something about America’s favorite dollar burger (or at least, my favorite dollar burger) breaking that threshold that’s kind of sad. There are some new, cheaper burger options, but both of them only include one patty. The other additions are McChicken variations, used to pad out the 99 cent section of the menu. Let’s look at some of these freshman offerings. 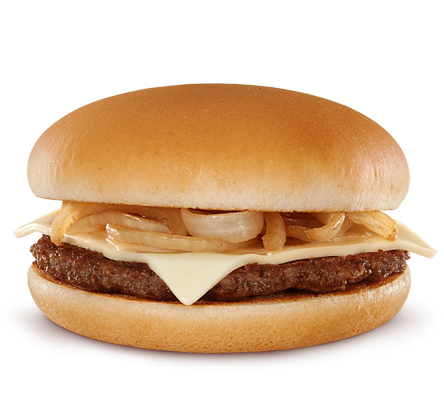 The Grilled Onion Cheddar Burger is pretty simple. It’s a patty with a heaping helping of grilled onions and a slice of White Cheddar cheese, similar to a White Castle hamburger. 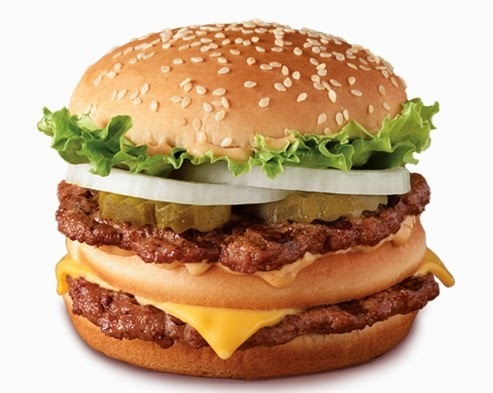 It’s not bad by any means, but again, compared to the lean, balance recipe of the McDouble, it’s just kinda lacking. 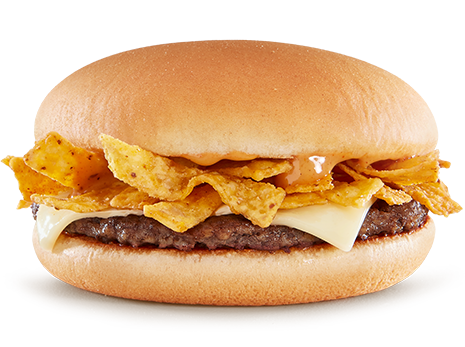 Stranger still is the BBQ Ranch Burger, another single patty burger that shares the White Cheddar but adds barbecue ranch sauce and genericized Fritos corn chips. It’s interesting, and I’ll give them points for originality, but it still doesn’t really come together very well. They can’t afford tomatoes on a dollar burger, but even some onion or something might give it a little more of an identity. The last one I sampled was the Bacon Cheddar McChicken, which as you’d expect was a McChicken with bacon and Cheddar cheese on top. It was an improvement over the regular McChicken, but the McChicken patty is still substandard, so if you really want chicken, their premium chicken sandwiches are worth the extra price. All in all, the new Dollar Menu sandwiches do little to soften the blow of the McDouble price hike. I appreciate the effort, but none of them are remarkably good, and it’s still probably a better bet to go with the McDouble, even with the markup. It’s took bad they didn’t take a page out of Burger King’s book and try a French Fry Burger, I think that might actually be worth having on their menu. I’ve been away from my duties as a sandwich blogger for a while now, and things have changed in my absence. McDonald’s once-lauded Angus burger line has been retired. As I’ve stated before, I’m not a fan of the campaign to convince (read: trick) people into thinking that “Angus” is some kind of marker of higher quality, rather than just a specific brand. The Angus burgers were a decent line, as specialty burgers go, but I felt that they lacked creativity and ingenuity to set them apart. Of course, this doesn’t mean McDonald’s isn’t still going to offer deluxe burgers with various fixings. Empires rise and empires fall; the classic Big ‘n’ Tasty was axed just before the Angus invasion, and obviously the time is ripe for a new set of burgers. This time, McDonald’s is keeping it pretty simple. The new line is an expansion of their basic Quarter Pounder with Cheese, with the addition of bacon to most options as a theme. Not terribly daring, but one of them showed a little bit of promise: the Bacon Habanero Ranch QPC. The Bacon Habanero Ranch Quarter Pounder with Cheese is the most unique of the new line. Rather than American cheese, it uses a slice of White Cheddar atop a patty and a couple strips of bacon. It also includes lettuce and tomato, but the real draw is the eponymous sauce. It has a low, building heat, but enough of an actual Ranch and pepper flavor that it’s still enjoyable to taste. I kind of wouldn’t mind a little bit more from this sandwich, like actual peppers or crispy onions, but it also seems to have been designed on a budget, which I can respect. Speaking of the budget, the BHRQPC is affordably priced at around $5 for a combo. The entire line is, which is clearly a reaction to the dip in the higher-priced Angus sales. All in all, it’s a decent deluxe burger. 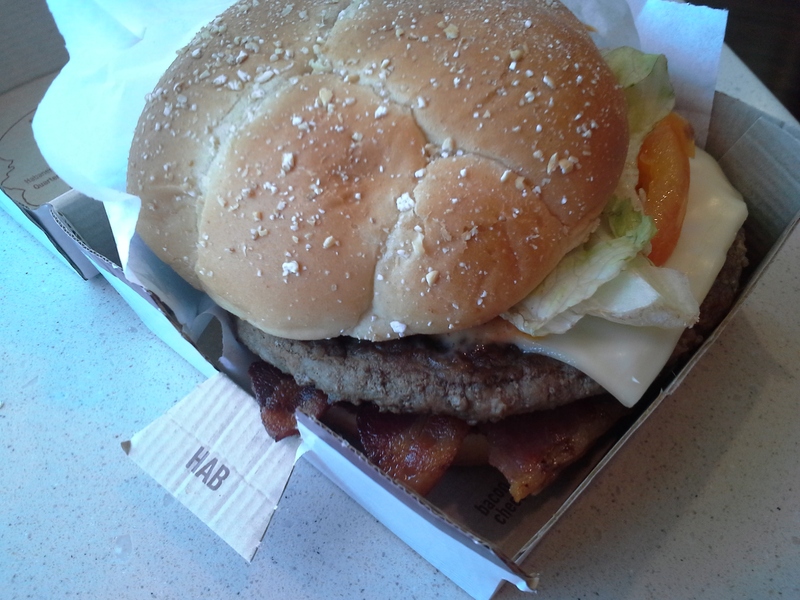 The McWrap is still a stronger bet for taste/quality, and you really can’t beat a couple of McDoubles for value, but if you’re looking for a bacon cheeseburger with a bit of a twist, the Bacon Habanero Ranch Quarter Pounder with Cheese is a nice pick. I have to tell you guys, I was a little skeptical of the McWrap. I’ve long been annoyed with the popularity of the Snackwrap, McBites, and other new menu items McDonald’s has introduced over the past couple of years. I think that for the most part, these are just ways to reuse existing items with smaller portions. Every time they push one of these, or a new coffee drink, it means we’re gonna have to wait that much longer for a new bonafide sandwich to review. At first glance, I figured the McWrap was more of the same: existing stuff mixed around and packaged as something new. Strangely enough, that’s exactly what it is, and I actually love it for it. Let me explain. First of all, the McWrap is much bigger than I expected. 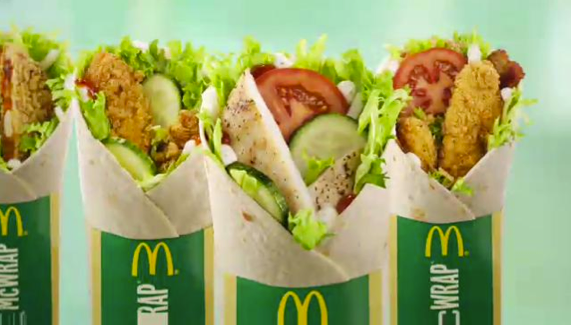 While Snackwraps are a single chicken finger wrapped in some lettuce and tortilla, the McWrap includes a full-sized chicken breast filet sliced up. It’s actually much bigger than the commercials suggest, which is surprising. I also didn’t realize from the ads that there are three different flavors: Chicken and Bacon, Chicken and Ranch, and Sweet Chili Chicken. There’s a lot of overlap in the ingredients, but I decided to start out with the Chicken and Bacon. The McWraps go for around $6 in a combo, and are definitely one of the best options for chicken on the menu right now. I’m looking forward to trying the other two varieties, but if you’re a fan of actual quality vegetables (or at least, higher quality than usual McDonald’s fare), this is not a sandwich to miss. 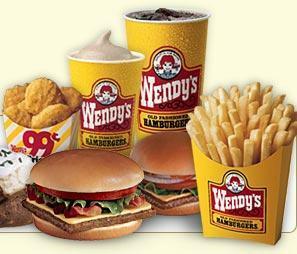 According to research firm Technomic, Wendy’s has dethroned Burger King as the world’s number two fast food chain. While Wendy’s narrowly edged out BK in terms of annual sales, both were still far behind McDonald’s, with an enormous $34.2 billion in sales. There’s a lot of Monday morning quarterbacking going on, invoking everything from mascots to health food trends. Some of it’s on point, and some of it (in my opinion) is way off. To me, I think this is an indicator of Wendy’s hard work at managing their image as a higher quality, healthier alternative to McDonald’s. They’re not going after Burger King or anyone else specifically, they’re just presenting themselves as a niche market, a drive-thru burger place with leaf lettuce and fresh(er) tomatoes. McDonald’s is always going to be on top, because they’ve found the ideal point of convergence between price and quality, but Wendy’s can pick up the more discerning crowd, which lacks in volume but (hopefully) is loyal. Remember, I’m not saying Wendy’s actually is a healthier, higher-quality alternative. I don’t have any nutritional values in front of me, but it feels like if you’re health-conscious, any place with a drive-thru probably isn’t the best bet. But through their advertising campaigns, Wendy’s has managed to project an air of quality, which seems to have caught on. People know they can go there and pick up a salad instead of a burger in they so choose. 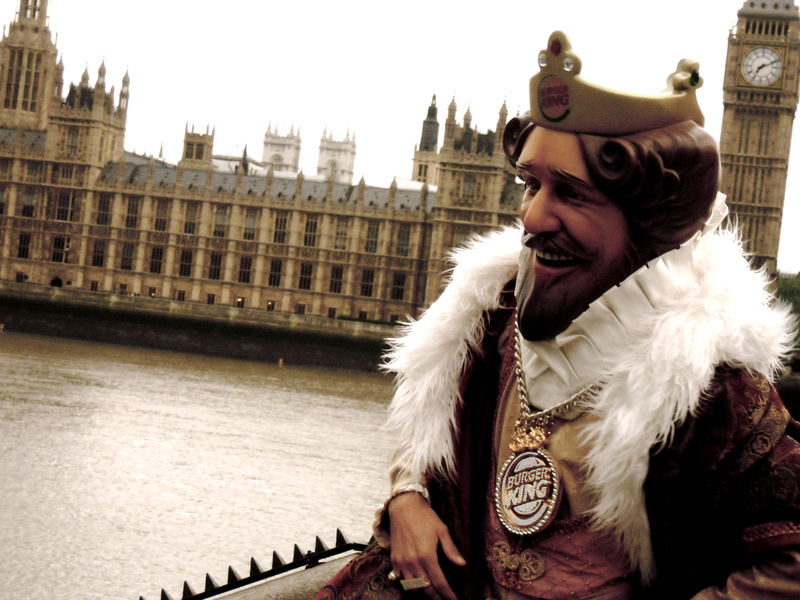 For their part, Burger King seems to be in a bit of a tailspin. They’ve been trying a couple of different brand concepts and menu items, but nothing so far seems to have caught on. They’ve relied on being a household name for too long, and now they’re going to have to work to stay in the game. When you play a game of thrones, you win or you die. The thing to keep in mind about this is that when chain restaurants compete, you win. Prices drop, and franchises begin offering more creative, bold options in an effort to redefine their brand. As long as Burger King puts in work and doesn’t thrash around, we should be in for some interesting sandwiches over the next year or so. A couple of years ago, I had a pancake-wrapped sausage and it blew my mind. Although I had spent years dipping sausages into maple syrup, it never occurred to me how wonderful this combination could be. On the advice of a couple of friends, I decided to try the McGriddles, a McDonald’s breakfast sandwich with a pancake-like bun. However, I was blinded by my love for bacon, and essentially forgot why I had come. While the Bacon, Egg and Cheese McGriddles isn’t bad or anything, I thought it was high time I reviewed the McGriddles the way God intended it. And let me tell you, the Sausage, Egg and Cheese is fantastic. Although the concept of combining sausage and a sweet bun may sound strange, the combination of salty and sweet is one of my favorite flavors, and I wish more sandwiches would go out on a limb like this. 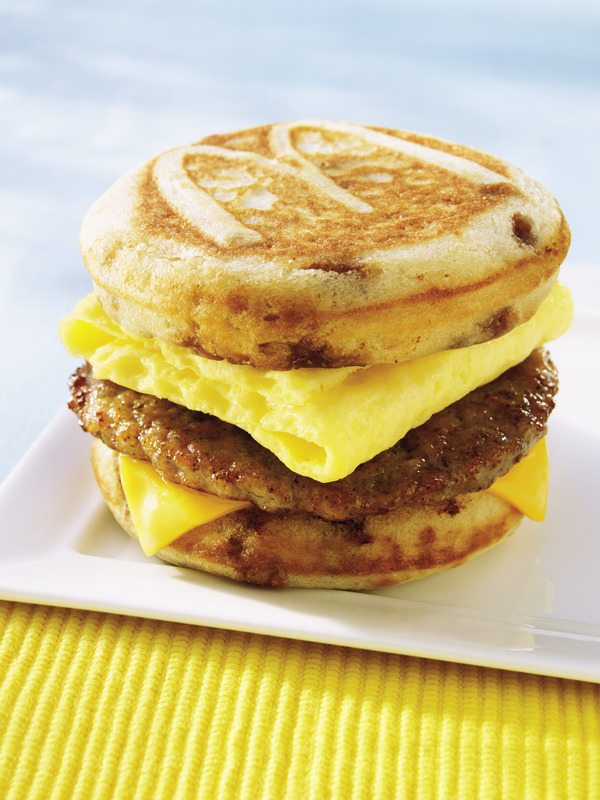 The eggs add some body, and the inclusion of cheese, while subtle (it is McDonald’s American cheese, after all), rounds out the meal. My only complaint is that the ingredients taste a little bit too industrial. I know this is an odd complaint to levy on the world’s biggest fast food producer, but part of it is that I’m not quite used to fast food eggs yet. Still, it’s a delicious, quick, and cheap breakfast option, especially for those of you like me, who have been somewhat underwhelmed by the average biscuit or bagel breakfast sandwiches. A combo runs for around $4, and the fact that it’s a sandwich means that unlike most pancake, egg and sausage breakfasts, you can eat it in your car on the way to work. Win-win!! Imitation is the sincerest form of flattery. 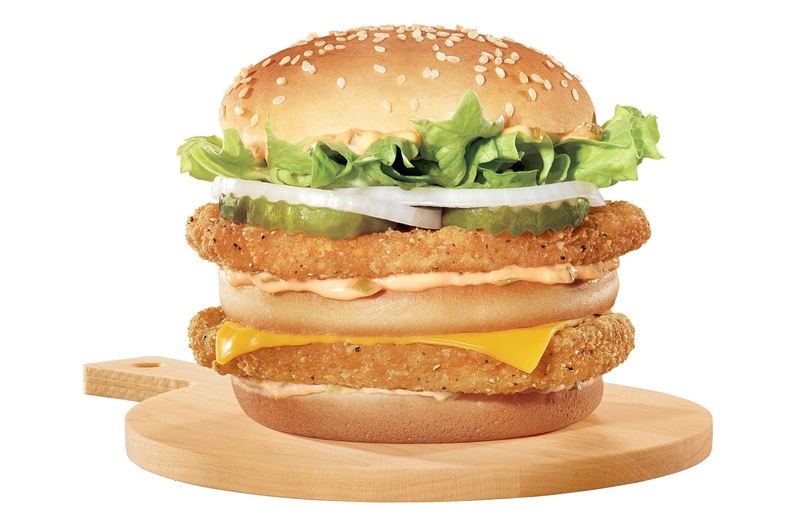 That was the idea when McDonald’s introduced the Southern Style Crispy Chicken Sandwich a few years ago. 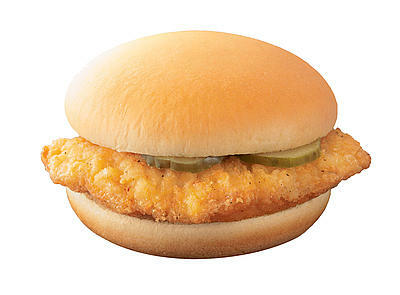 The Southern Style is a variation on Chik-Fil-A’s famous chicken sandwiches, which consist of a crispy fried chicken breast with pickles on a bun. It’s delicious, but as Chik-Fil-A isn’t a nationwide franchise, it’s somewhat difficult to come by here in the Midwest. McDonald’s made the wise move of marketing it nationally around the same time they introduced their Sweet Tea, another Southern standby. But how does it stack up? Pretty darn well, actually. The Southern Style has been a favorite of mine for a while now, and I was surprised to find I hadn’t already reviewed it. It’s simple and distinctive, and the combination of chicken and pickles provides a very different flavor from the standard lettuce and tomato framework. It’s also available for breakfast sans pickles on a biscuit, but since I don’t usually frequent McDonald’s before noon, I haven’t yet had the pleasure.